Inchture is the largest and most populated village within the Community Council's charge. There are many useful amenities such as the Village Shop which stocks a variety of everyday goods and the Post Office providing a vital service to the community. Inchture is located in the heart of the Carse of Gowrie being only approx 10 miles to Dundee and roughly 18miles to Perth meaning a great central location for any visitors to the area. The Inchture Hotel provides excellent accommodation and hospitality with its Lounge Bar, conservatory restaurant The Priory and its public bar which is popular with locals and visitors alike. The village also boasts a Bowling Club and Bowling Green, Playing Fields and is the home to Inchture Athletic Football Club and is the local base for both Rossie Priory Cricket Club and Rossie Priory Curling Club. Abernyte is a small but thriving village with a strong local community. It is mainly a farming and agricultural village which produces quality fruit, vegetables and livestock. The village also has its own Church and Primary School with Playing fields which play vital roles in maintaining a vibrant rural community. For more information on Abernyte please take a look at the excellent Abernyte.org website which provides important local information. Abernyte is the subject of a poem written specially by author Scott Martin which was presented in Abernyte to the Minister at the time on May 12th 2002. It can be found on his website. 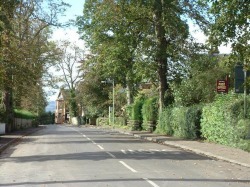 Kinnaird, whose name means 'the head of the height', is a picturesque village nestled in the hills looking out over the River Tay and Carse of Gowrie. 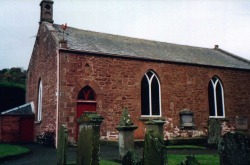 The parish has a church which dates from 1815 and is overlooked by the towering Kinnaird Castle which dates from the 12th Century and restored in 1855 although now a private home. There is no conventional main street layout to the village as it is broken up with its hillsides and burn where some of the cottages retain their traditional thatched roofing. Rait is a beautiful village with colourful countryside and a small burn running through the middle of it. There are a number of reed-thatched cottages and the remains of a church, used before the reformation, which was abandoned when Rait joined with Kilspindie in approx 1619. The Rait Village Hall is used for local events such as meeting groups and Rait's Annual Beer Festival. Rait Village also boasts an Antiques Centre made up of a collection of small antiques stores offering a wide variety of goods and housed in converted farm buildings. The centre features in Taysides Antiques Trail.